It’s that time of year again. 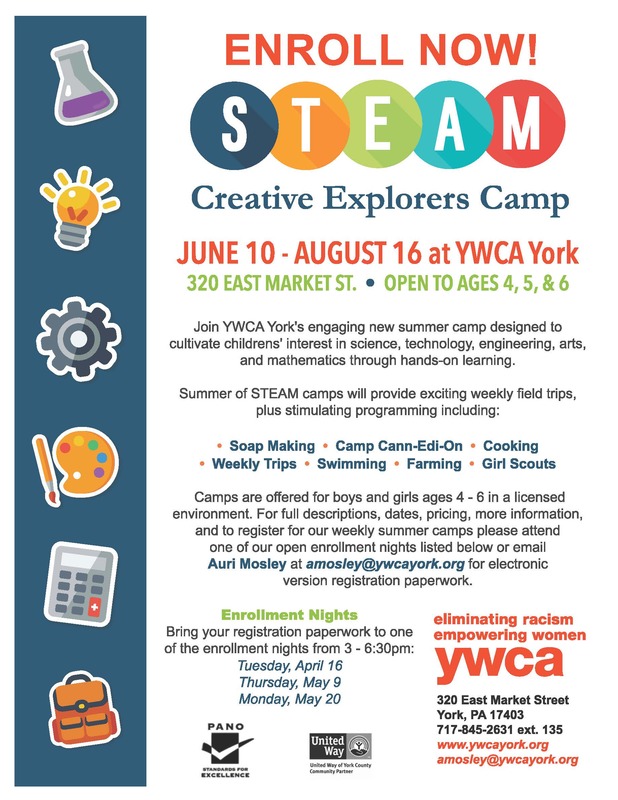 YWCA York is preparing for another great summer at Creative Explorers! To register your child for Creative Explorers, come to one of our enrollment dates. Tuesday, April 16 – 3:00-6:30 p.m.
Thursday, May 9 – 3:00-6:30 p.m.
Monday, May 20 – 3:00-6:30 p.m.
For more information, contact YWCA York School Age Care Director, Aurielle Mosley, at amosley@ywcayork.org or 717-434-1752. To learn more about Creative Explorers, click here.